Cristiano Ronaldo despite his tight schedule as both a Bianconeri forward and Sports model was at Vinovo to watch his son, who was in the thick of the action with the U-9 side in their league. 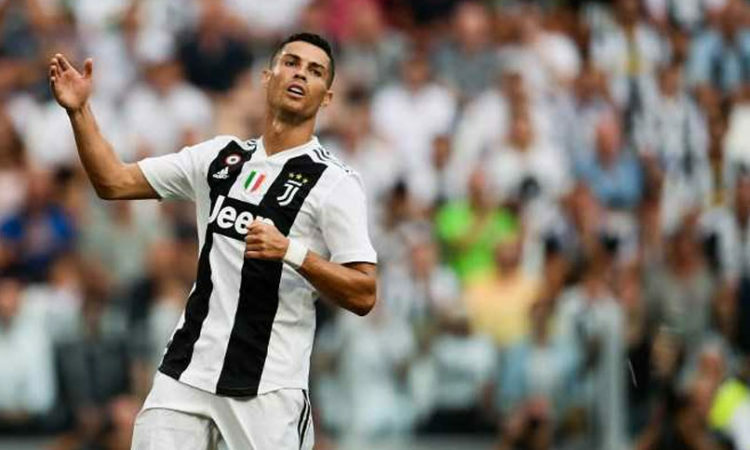 Ronaldo Jnr had a superb game against Perugia as the lad inspired by the presence of his dad netted five goals to show that he has was it takes to surpass his dad achievement in football. This not the first the U-9 forward is scoring goals as he has established himself among his peers as a goal machine. At the end of their game, Ronaldo took a picture with the U-9 of the Old Lady and Perugia side, and the children couldn’t hide their joy as their fixture has been watched by one of the greatest footballers of nothing only the modern era but of all-time, who at the end of the game took photos with them. Juventus is currently unbeaten in the league and will be hoping to extend their grip in the Italian topflight division.